In an era of “one-click” shopping and other changes in the retail industry, Stephen Downes remains prosperous; attributing his success to the hard work and great customer service that just can’t be found online. 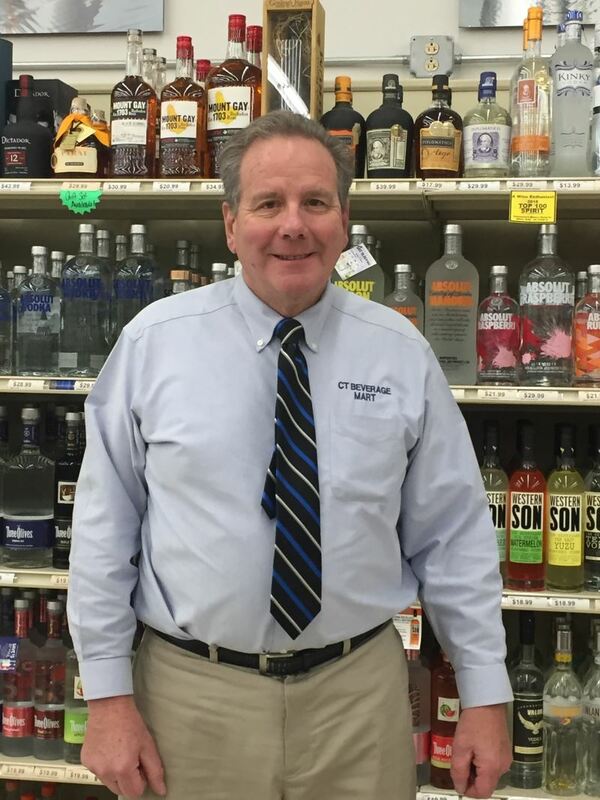 Downes, known to many as “Steph,” owns the Newington location of the four-store CT Beverage Mart group (CBM), which have become some of the largest package stores in the state. 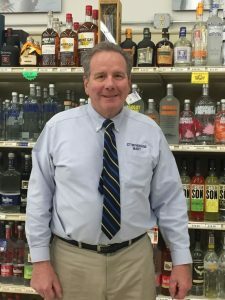 He is also the current president of the Connecticut Package Stores Association (CPSA), which he has been a part of for many years. Downes started out working in the restaurant and nightclub industry, but soon realized it was not something he really enjoyed, he said. 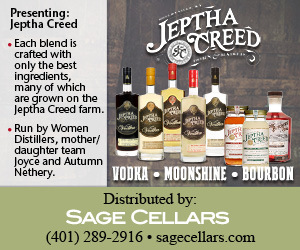 Seeking a more consistent business model, he turned his attention to the retail liquor industry. Careful planning and strategy began to take form as Downes and his partners, Jim Valentine, Brigham Metcalfe and Jim Ransford banded together to form the four CBM locations of Newington, Middletown, Wallingford and New Britain. Store patrons are the most important part of the business for CBM, and making sure they are happy is something they always strive for. At his store, Downes ensures that his customers are well taken care of. “Paying attention to detail goes a long way with consumers when they walk into the store. I make sure that the environment inside the store is comfortable and provides an enjoyable experience for every single customer,” he said. A strong work ethic is expected from all employees, which he found benefits the store, as well as the employees themselves. Over the years, Downes has had several visits from past employees returning to thank him for instilling such values in them, as it has contributed to their current success. When it comes to hard work, Downes leads by example. His high standards date back to his parents, who taught him that good character is what makes a person successful in business and in life. He also uses this lesson to guide his sons, Brian and Ted, who now work alongside him in the Newington store. When asked what he loves most about the industry, his response focused on the social aspect of the business: “Working with the customers and building relationships with them is very important and rewarding.” As president of CPSA, Downes is often communicating with local legislators and leaders about laws affecting the industry. “Talking with legislators is a very unique aspect of the business. 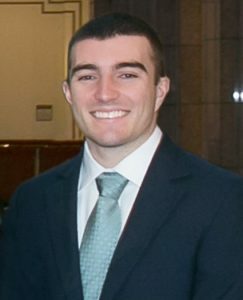 Being active in CPSA is crucial to the industry because we are able to talk to legislators about what makes Connecticut package store laws so great,” he explained. 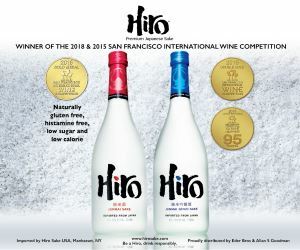 He also recognizes the other package stores across the state who are members of the association and finds the friendly competition and ability to work together something that is truly unique to the industry. “Being able to work with other stores and come together on issues that threaten the industry is crucial,” said Downes. Having a friendly rapport and one that works together is critical to the industry. A level of understanding among the members creates a special partnership that makes CPSA so unique. With years of experience under his belt, Downes recognizes the importance of a strong voice that can be heard by members from every corner of the state. Being a member of CPSA is the first step in supporting the industry. 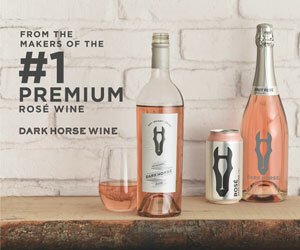 Connecticut has become a leading example of strong and efficient liquor laws for the rest of the country, and if CPSA remains strong, Downes is confident it will continue to lead into the future. Interested in learning more about CPSA and member benefits? Simply visit ctpsa.com.